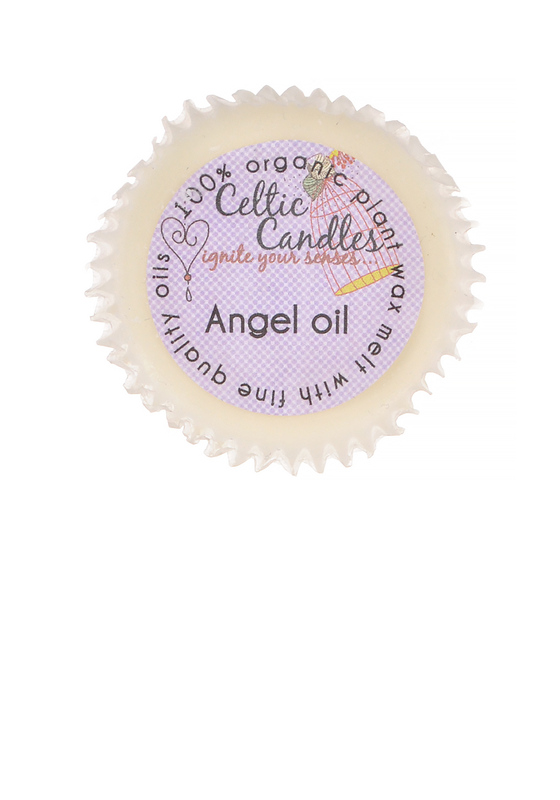 Celtic Candles present this beautiful Angel Oil wax melt. A cupcake shaped wax melt that will fragrances your home for up to 30 hours. Crafted from 100% organic plant wax.